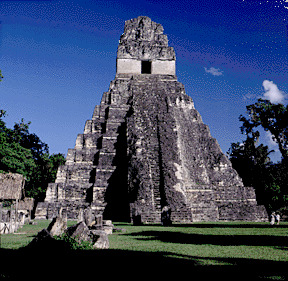 The idea that something that will change the earth will happen in the year 2012 is all the fault of the Maya. No, really!1. When they devised their calendar they made it with an expiration date2. The 2012 date represents the end of a cycle in the Mayan calendar3. According to the Popol Vuh, a book compiling details of creation accounts known to the K’iche’ Maya of the Colonial-era highlands, we are living in the fourth world. The Popol Vuh describes the first three creations that the gods failed in making, and the creation of the successful fourth world where men were placed. In the Maya Long Count, the previous creation ended at the start of a 13th b’ak’tun. All of these are pre-dated by the predictions of Zecharia Sitchin, who claims that his studies of ancient Sumerian cuneiform lead him to the conclusion that a planet Nibiru would be returning to the inner solar system in 29004. His mythical planet has been co-opted by other authors and has become part of the 2012 myths. In general, the "2012 movement" is a subset of Mayanism; "…a non-codified eclectic collection of New Age beliefs, influenced in part by Pre-Columbian Maya mythology and some folk beliefs of the modern Maya peoples". This should not to be confused with a Mayanist, who is a scholar of the historical Mayan civilization. Mayanism draws on various fringe beliefs, and is heavily influenced by references to Atlantis, extra-terrestrials, ancient astronauts, and various other pseudoscience and pseudohistory beliefs. Many of these influences were brought into the New Age movement by early authors such as Madame Blavatsky and Rudolf Steiner, and others by more recent authors such as those listed above. According to the believers in Mayanism, the fact that the Maya long count calendar reaches a round number signals that some significant event will occur. This is not much different than the Millennialism that was prevalent leading up to January 1st, 2000. Are the claims about the Mayan calendar really accurate? Did the Maya predict an apocalypse on December 21st, 2012? If they did, what evidence can be brought to support that myth? If they did, should we really accept those predictions from a civilization that ended thousand and thousands of years ago?? In these pages we hope to explore and answer these questions in proper detail. 1. Well… no, not… really. As we will show, a certain long-term cycle in the Mayan calendar comes to an end. This has no significance to us. 2. Say a tin of tuna expires in 2 days. This does not mean that Tuna will become extinct on April 25th! DO you see where we're getting here? This is an example of what we are led to believe by various proponents of the 2012 hoax and their wild supporters. 4. Previously this page said "2085" and then "2090". It has been pointed out that Sitchin's most recent book specifies that Nibiru will not return until sometime after 2900, but that the Annunaki might return via spaceship sometime after 2090.